Tony Parsons is one of those last stops. “I’m the ORION specialist,” says Parsons. He has been overseeing final assembly and quality assurance of REI’s ORION product line for the last seven years. 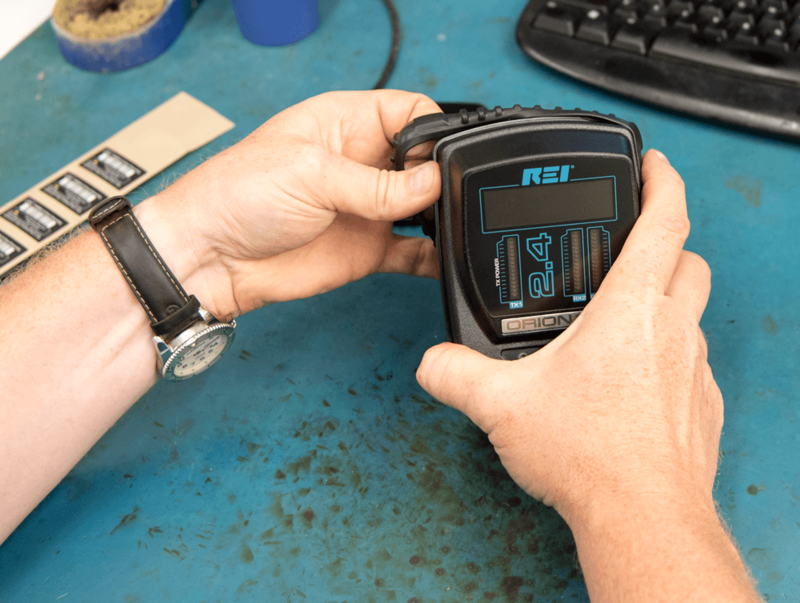 REI sees, touches, and tests each product before it is shipped out. With complete control over the manufacturing process, REI does not have to be concerned with whether a third-party company is dedicated to the quality of their products. Unlike many companies, REI does not have a standalone repair department. If a product has been damaged and needs to be fixed, it returns to the individual who assembled it. “No one knows more about the product than I do, because I built it. I’m the most qualified person to repair it,” says Parsons. REI’s engineering and production departments work in tandem, making software and hardware that are specifically designed for each other. If either function was outsourced, REI could be forced to make compromises to ensure compatibility. From beginning to end, REI knows that each element is going to work together seamlessly. Each time a customer orders an ORION from REI they can be confident that it meets the highest standards (and Tony assures it).